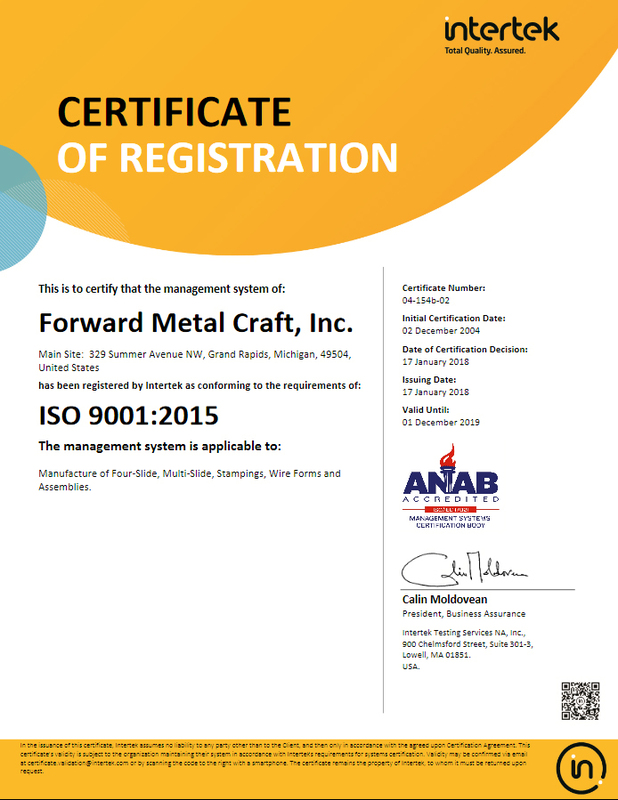 Forward Metal Craft is an ISO 9001-2015 certified supplier. This certification assures that we have the plans and processes in place to provide you with the part you ordered, produced to your specification, at the time you require it. We look forward to the opportunity to demonstrate our capabilities to you.